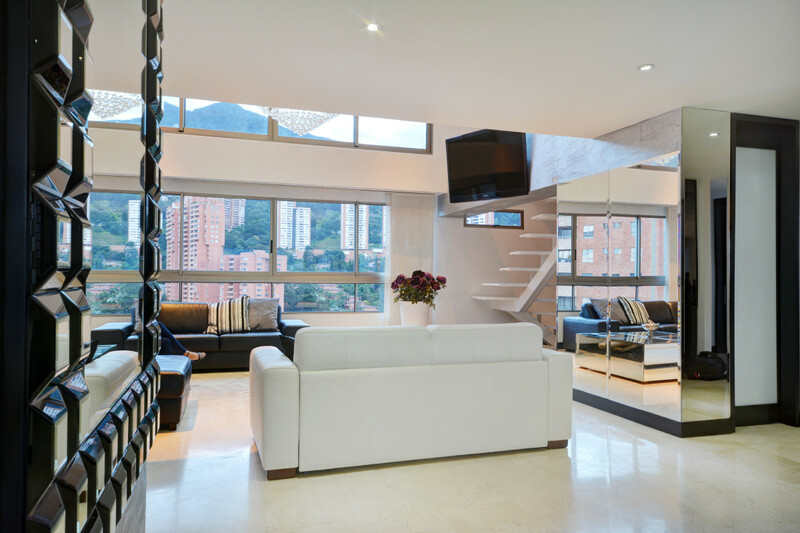 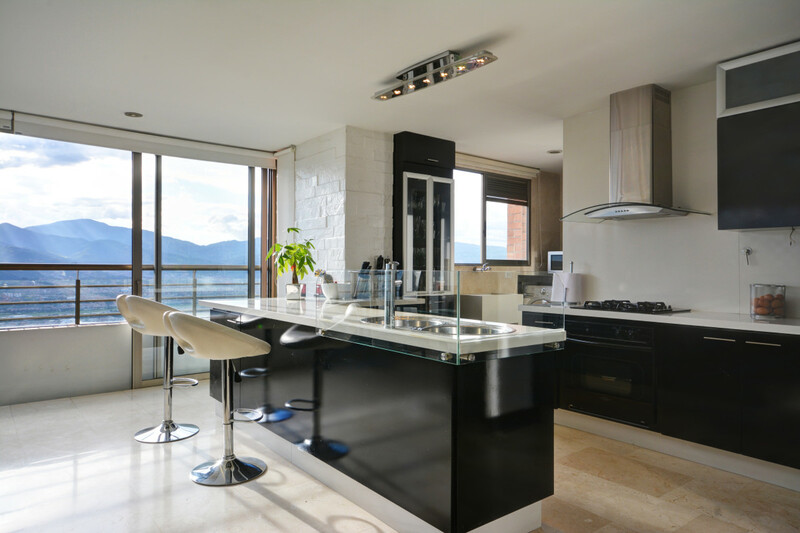 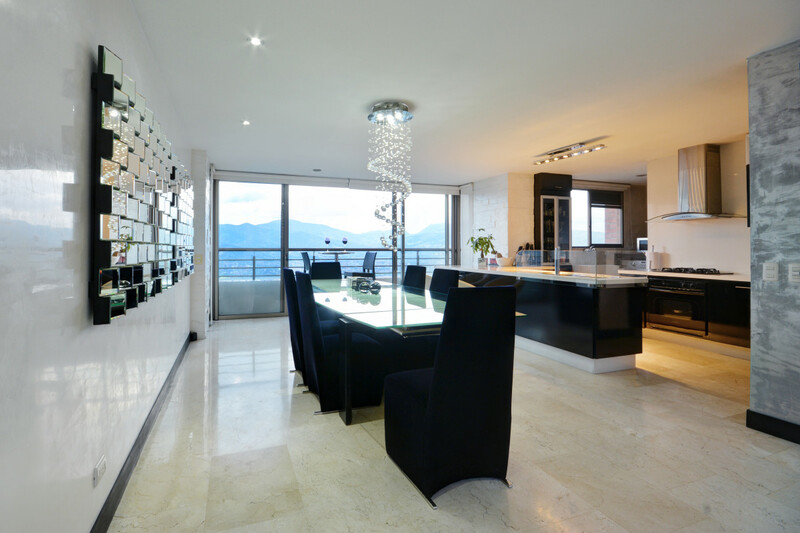 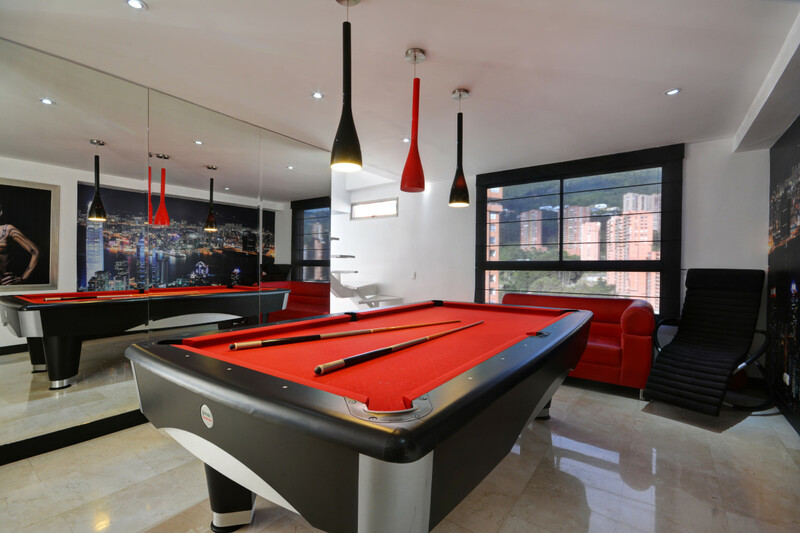 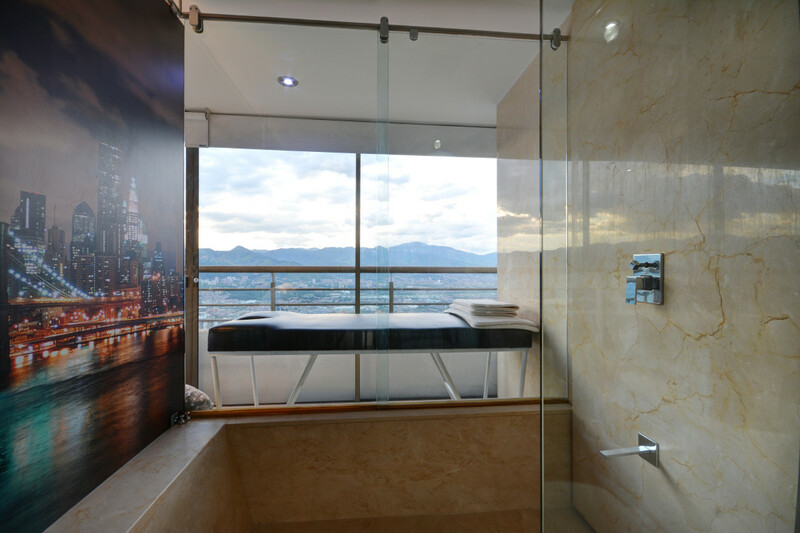 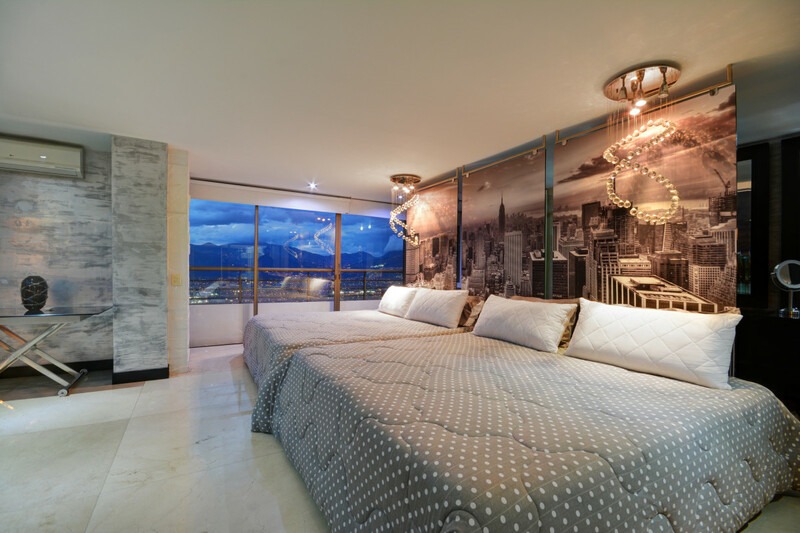 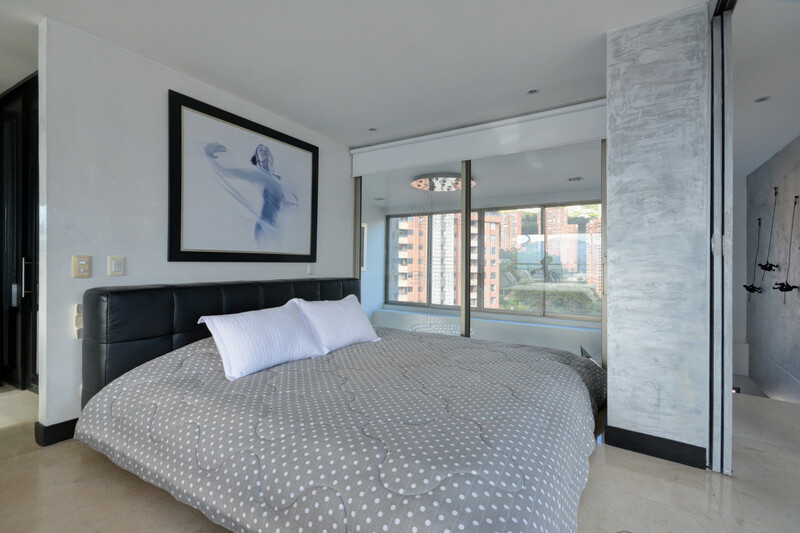 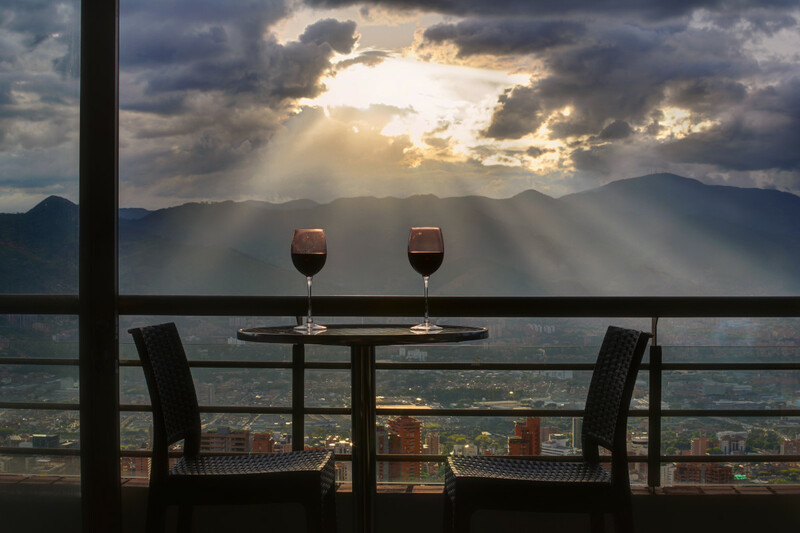 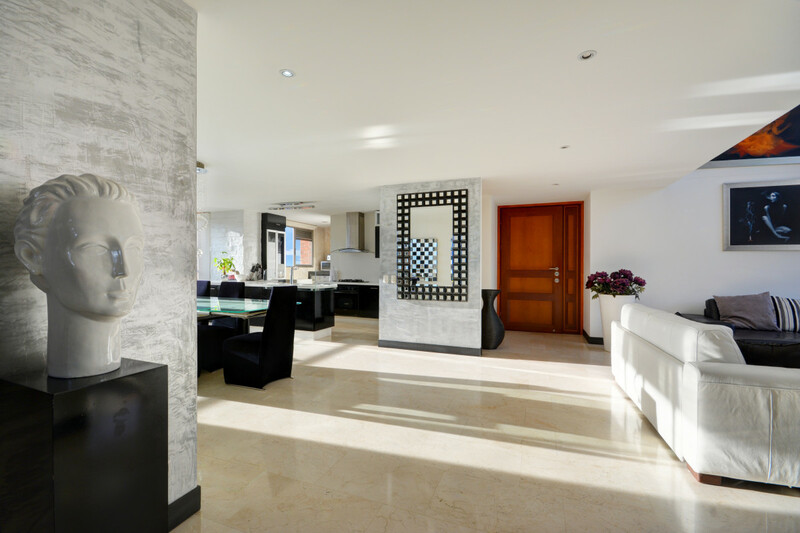 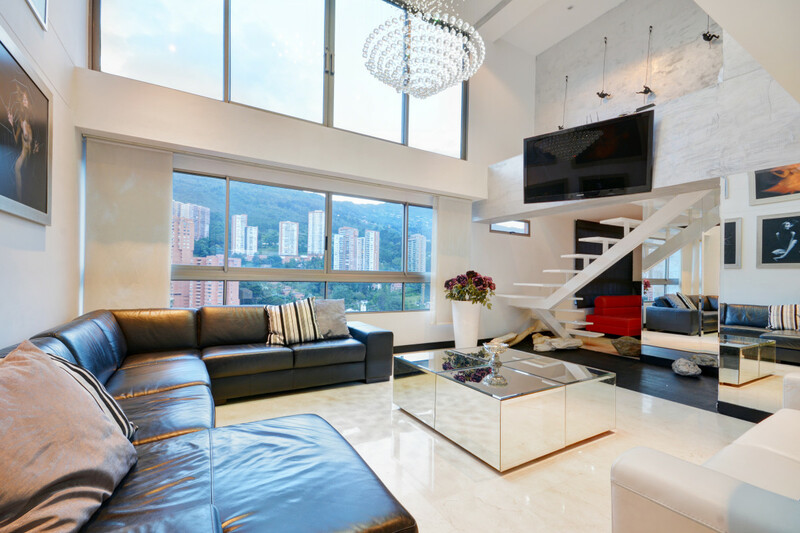 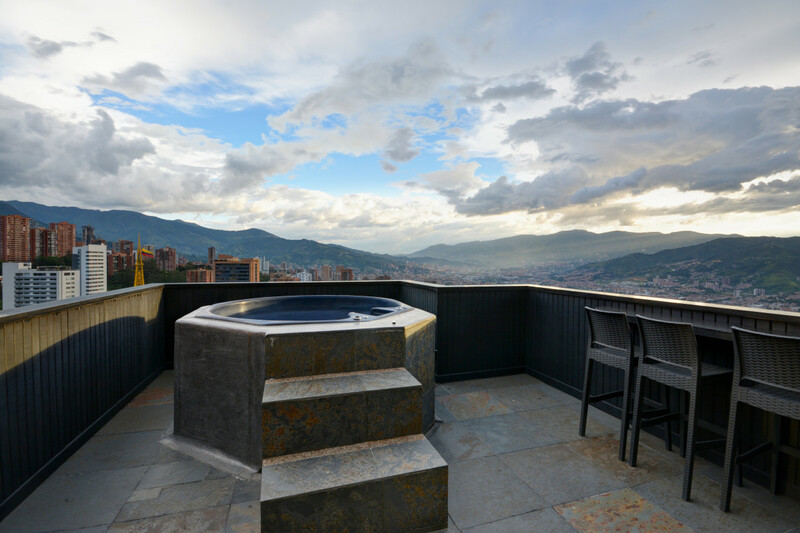 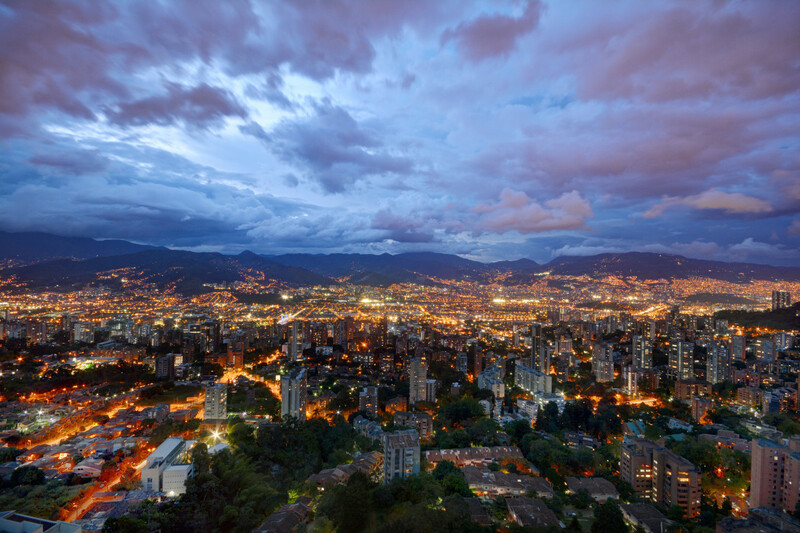 Relax in luxurious splendor in this exquisite penthouse spanning the 25th and 26th floor of a tower overlooking the stunning city of Medellin. 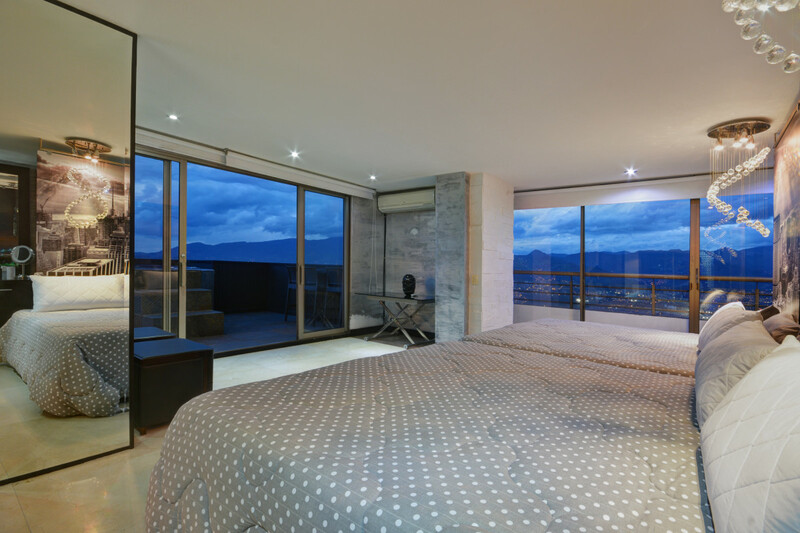 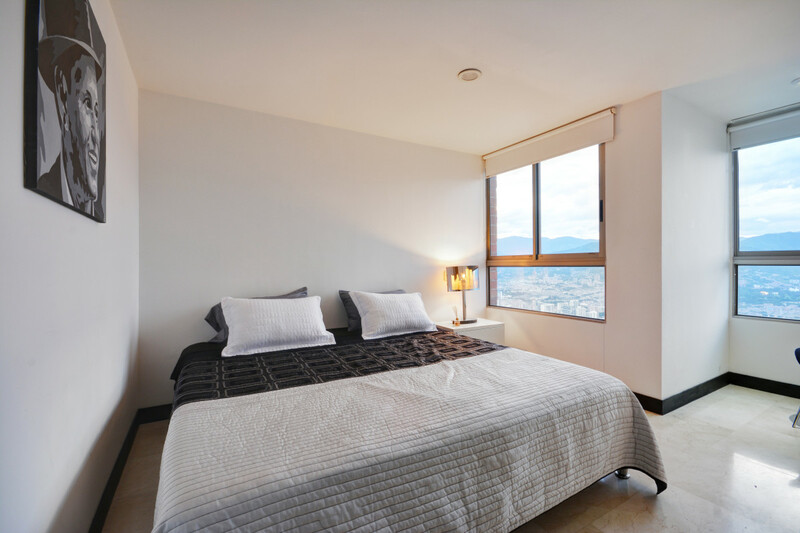 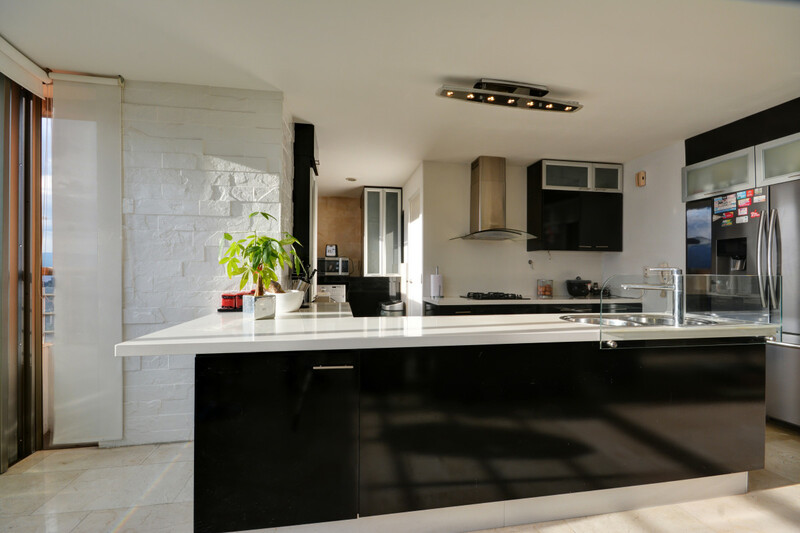 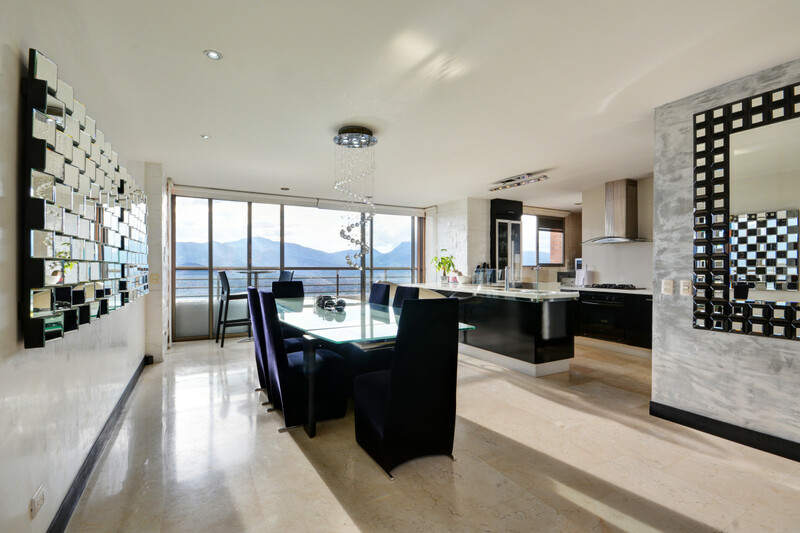 Every room in this spacious homes boasts expansive windows for you to enjoy breath taking views of the Andes mountains to the East and West and the Aburra Valley nestled between along with refreshing cross breezes to cool the apartment on sunny days. 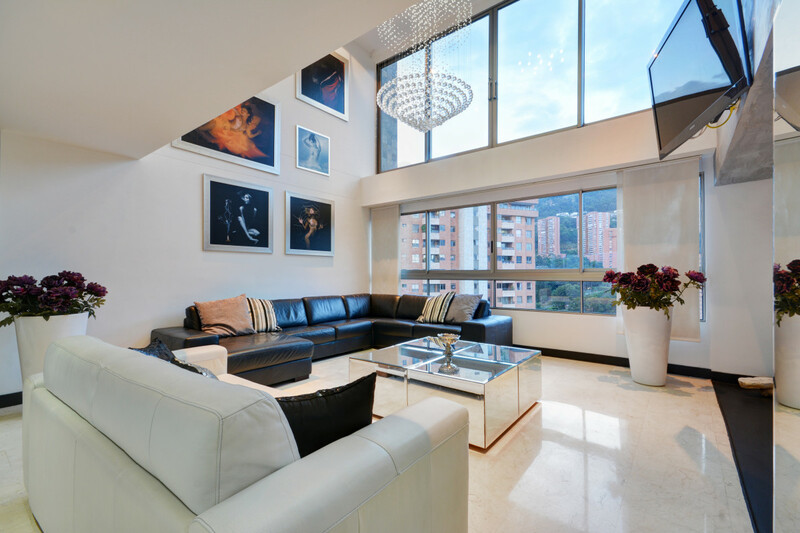 Experience opulence featuring marble flooring, artistic stonework, a floating staircase, Swarovski crystal chandeliers, a private rooftop jacuzzi and terrace, custom lighting and sound system, pool table, all in a sleek modern apartment with museum - quality artwork. 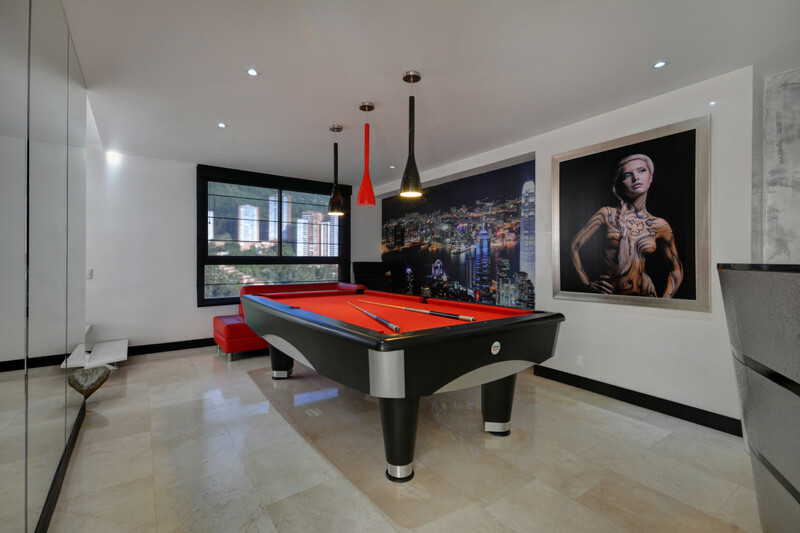 The first level of the unit hosts a wide living room, entertainment area with a pool table, large dining area 2 bedrooms and fully equipped kitchen. 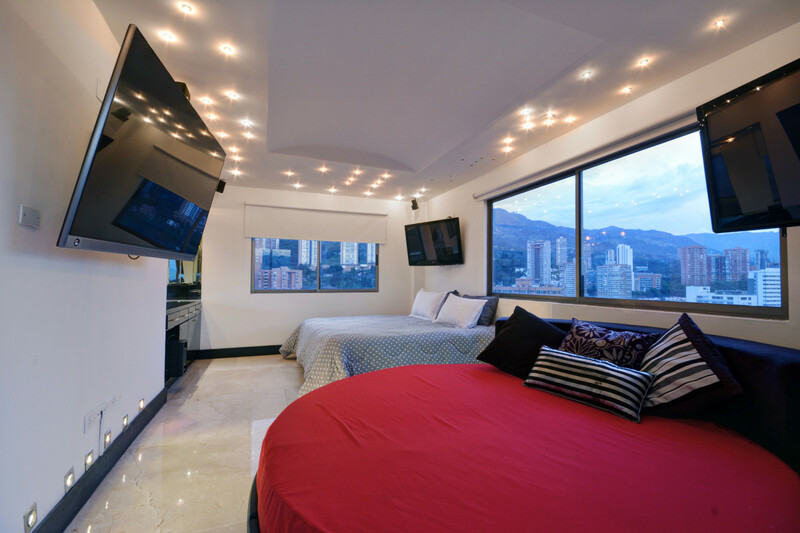 The 2nd level is home to the master bedroom with walk-in closet, private ensuite and another bedroom with a SMART TV and Bose sound system, creating the perfect home theatre ambience. 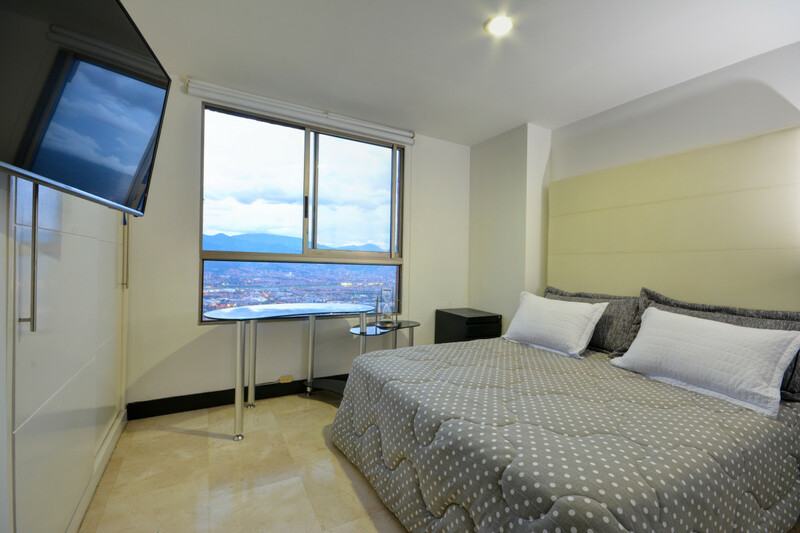 Both bedrooms have access to the private terrace with jacuzzi from where you can admire gorgeous views from the 25th floor of the building.